Next story in Diet and nutrition NYT: Seat belts strong enough for heavy fliers? 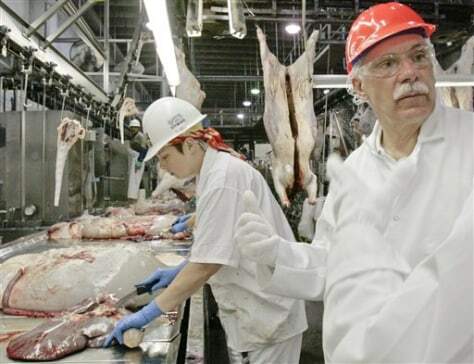 Agriculture Secretary Ed Schafer, right, follows the work of USDA inspectors at the Cargill meat packing plant in Schuyler, Neb. on July 8.